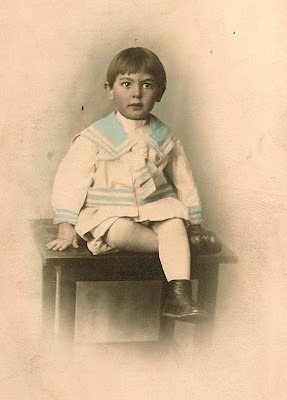 My grandfather, Melvin Newmark (1912-1992), age 3. Wow! I never had a younger picture of my grandfather.. Very interesting way of dressing back then. So different then today. that sure is a million dollar picture! That is priceless. I'm glad you have it to share.